WARNING! Evictions are Civil Lawsuits. They are not small claims court! Rules of Evidence will apply. Default will enter against tenants that don’t show up. Your landlord will most likely have an attorney. Money judgments are entered if you lose. Find out how representation will make a difference. In an ideal world, everyone would work through their disputes by listening carefully and treating our neighbors as we would want to be treated. Unfortunately, Southern California is not an ideal world. That’s where I come in. Marc D. Whitham is a San Diego tenant lawyer devoted to representing tenants defend against eviction and unlawful collections. He offers counsel and represents tenants at trial. If you are in need of representation because you are facing eviction, or your landlord has locked you out illegally, shut off utilities, has made illegal threats, or has even broken into your home without your permission, then it’s time to act. I have encountered countless tenants throughout my career that are shocked and dismayed to find themselves in a difficult dispute with their landlord. The truth is landlords are not in the business of leasing for love of humanity. They are in it for the business – pure and simple. Your landlord may act like he’s your buddy, but when it comes down to the brass tacks, what you have is not a friendship, but a contract. Standing up for your rights as a tenant does not make you a troublemaker. Many tenants think that if only they could make the landlord understand their situation, they could avoid trouble. What the landlord often understands is that filing a lawsuit to evict a tenant (also called an unlawful detainer) can usually resolve his or her “problem” more quickly and more cheaply than listening and working through the dispute with you. Many tenants are surprised to find that the same is equally true for them. The right lawyer can save tenants money and actually help resolve the dispute with your landlord more quickly. Asserting your tenant rights will help you and your landlord have a clearer understanding and a better relationship in the long run. Whether it is trouble making the rent payment, or the landlord’s refusal to fix the problems with the plumbing, it is better to take the situation in hand. Getting the assistance of a lawyer early on can save you money and stress in a variety of ways. Even if you aren’t defending a suit in court, it’s important to understand that landlord/tenant disputes almost always involve legal questions of rights and obligations. Sometimes a lawyer can help to resolve your problem with a consultation, or by communicating on a tenant’s behalf directly with the landlord. Many times my clients need someone who can help to get the landlord’s attention. If your landlord or property manager refuses to listen, and continues to make unlawful demands, or refuses to live up to his or her responsibilities, then we can advise you about what is the most prudent and effective course of action to pursue. When you need a forceful voice to speak to your concerns, then I’m there for that too. If your landlord has already broken the law, or is trying to use the legal system to take away your rights, then call right away. Sometimes even when you try to avoid problems with your landlord, trouble finds you. Unfortunately, many landlords and property managers mistake flexibility and cooperation as an excuse to take advantage of those who rent from them. I am available to speak with you directly, today, without any further obligation. I strive to give my clients the very best counsel and advice, by providing legal services personalized to meet your needs. Don’t suffer through unnecessary hardships. 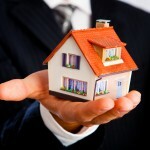 Assert your tenant rights effectively.